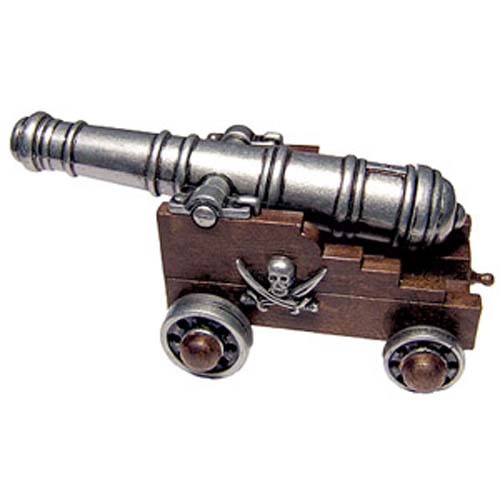 This is traditionally our best selling cannon and is sure to go fast! Order now to ensure timely delivery! 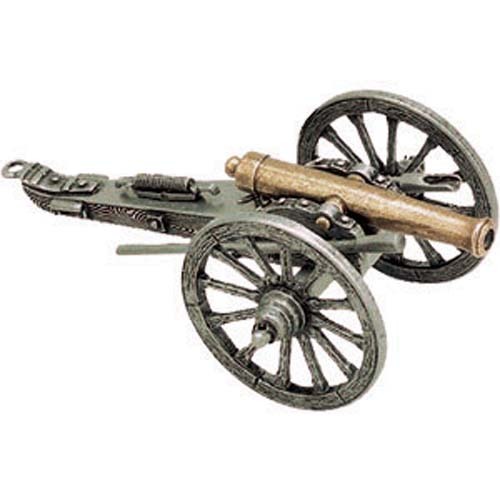 This high quality reproduction of the famed “12 Pounder” cannon is truly a distinctive display piece for your home or office. 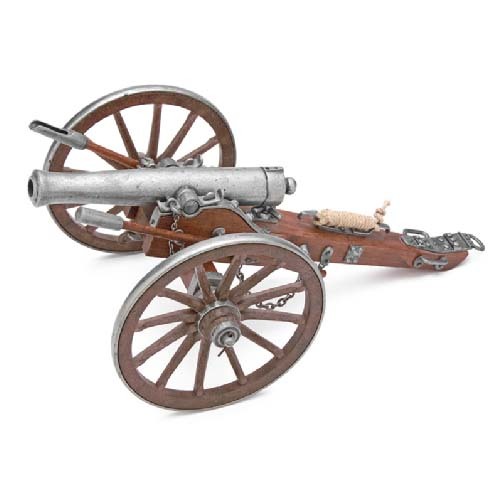 Features include a wood carriage, 6″ metal rimmed wheels, and a detachable ram and powder rod. 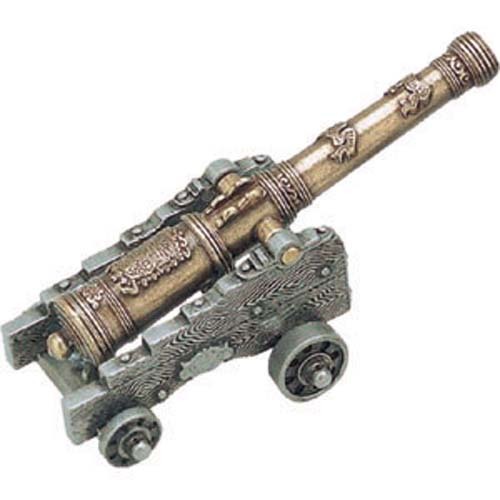 Its 7.5″ cast metal barrel can be removed from the carriage for closer inspection.